Work in progress. Started and submitted for Post Grind Jam #1. Alien Nomad: an alien, survival platformer. You play as the first alien nomad of your kind, tasked to consume all possible life on distant planets. You'll need what little remnants of water you can find for energy and to survive. Salvage, all excrement left behind after consuming life, is a by product your species use to repair your ship, travel to other planets, and upgrade your equipment. Space to hover (you can't jump). 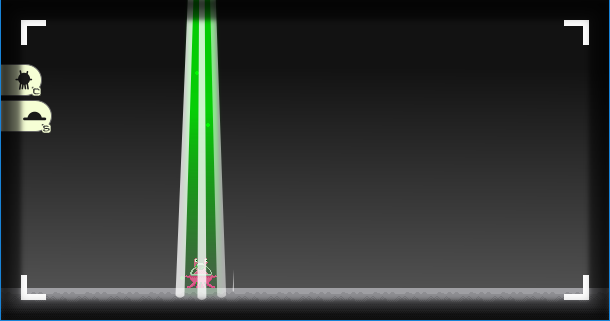 X to descend from your ship to the ground (start the level). Very busy weekend and very little time to complete this game. Some sound added to provide some feel of how this game will play. Not all controls implemented. No life or enemies implemented. Not even the "energy" pickup was implemented. Just close the game or fall in the hole to end. you are my fn hero man way to get it done!!!!! !